Diane Hopkins-Hughs has been a photographer and teacher for 40 years. An Arizona native, she has a BFA from University of Texas, an MS from Indiana University and post graduate work from University of Oregon. She became interested in photography while living in Europe and later studied with Brett Weston, Paul Caponigro and George Tice. She has taught at SMU, Brenau University in Georgia, Schreiner University in Texas and Furman University in South Carolina. She has presented over 60 art and photo workshops in several states. Her work has been exhibited in over 200 solo and group exhibitions and is included in numerous private and museum collections including Amon Carter Museum Fort Worth, the State of Georgia and the South Carolina State Art Collection. In addition to numerous project grants and residencies in Texas, Florida, Georgia and South Carolina. 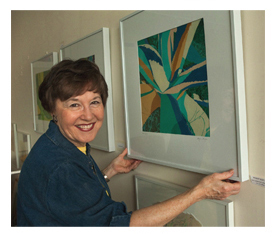 She was awarded the South Carolina Arts Commission Visual Arts Fellowship. Diane currently resides in Greenville, South Carolina. These black and white photographs are archivally printed and mounted by the artist in her personal darkroom. These photographs are one -of a- kind photographs which have been printed black and white on a matte paper by the artist and to which archival color pencils have been applied. The are archival mounted. These photographs are printed black and white either from film or from a digital image. Both are printed on archival paper with archival ultachrome inks on either an Epson 3880 or Epson 9800 printer. Some are hand colored with color pencils and look very similar to the GSP hand colored prints. They also are one- of- a -kind photographs. Occasionally the artist prints in color with the same process and printers as above. Images are protected by copyright laws. Any reproduction without permission of the copyright holder is a violation of United States copyright laws.